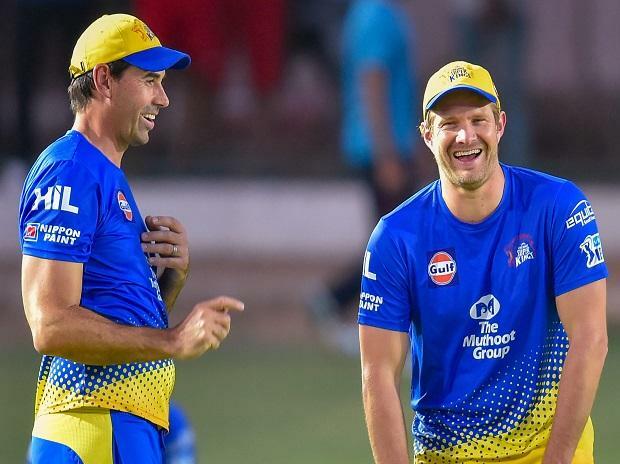 Chennai Super Kings (CSK) coach Stephen Fleming feels that his team will never be a great fielding unit because of the average age of the side. Fleming's comment comes close on the heels of his team's loss to Mumbai Indians on Wednesday night. CSK had suffered from many fielding lapses in the match. "We are never going to be great (as a fielding group). We know that we can see that. It is one of the downsides of maybe having athletes who are a bit older. But we are okay with that," ESPN Cricinfo quoted Fleming, as saying. "Usually our catching has been very good that we've worked on. I thought we were a little bit placid with the movement around the field. We have to be at our best. We'll address that. It is often a barometer to pressure," he said. In the match against Mumbai Indians, CSK's fielding was not that bright as they dropped 2-3 catches and conceded 13 extra runs which aided Mumbai's score. "We have just not been completely turned into what's needed to be done, we have to be at our absolute best if we have to compete in the field because we have limitations, but up until now, we have been pretty good," he said. "For the majority of this innings, we were good; we just made some clumsy errors, which we can tidy up. But we are not going to be one of the best fielding sides in the competition," Fleming said. With the loss against Mumbai, Chennai's unbeaten run ended in this year's edition of the IPL. Chennai Super Kings next take on Kings XI Punjab on April 6.